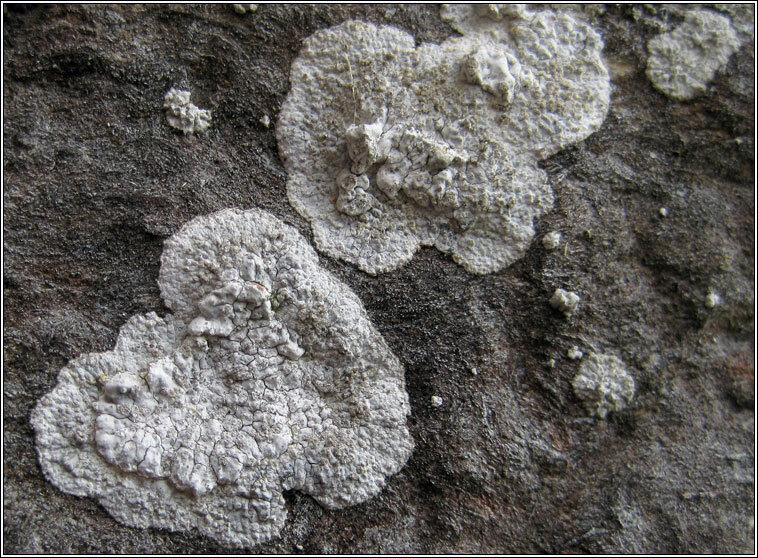 Can be common on vertical calcareous rocks and walls, often found on N and E church walls. 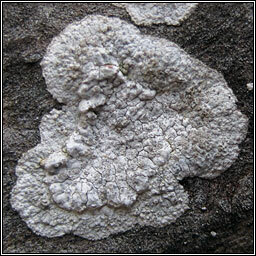 Thick, whitish-grey, areolate thallus with brown prothallus. 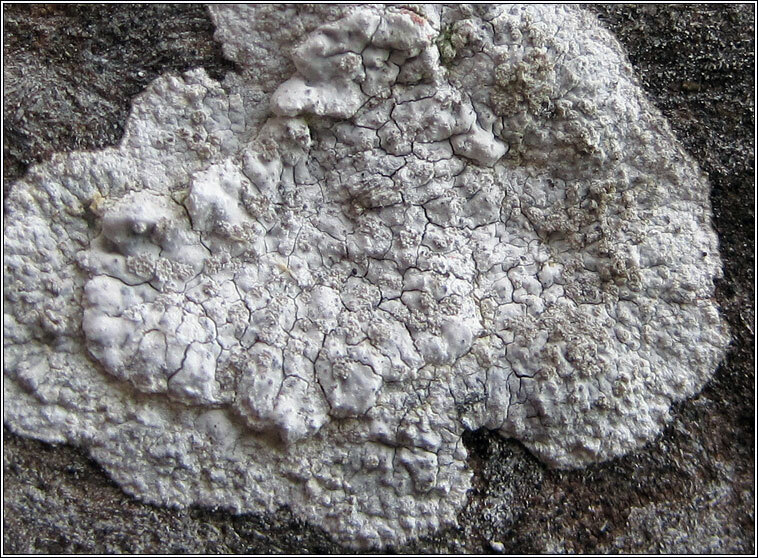 Surface +/- covered with granular soredia which can completely cover thallus. Fresh thallii scratching orange. Never fertile. Dirina massiliensis f. massiliensis is the fertile form, the medulla usually UV+ yellow and soredia absent, very rare on hard coastal limestone. 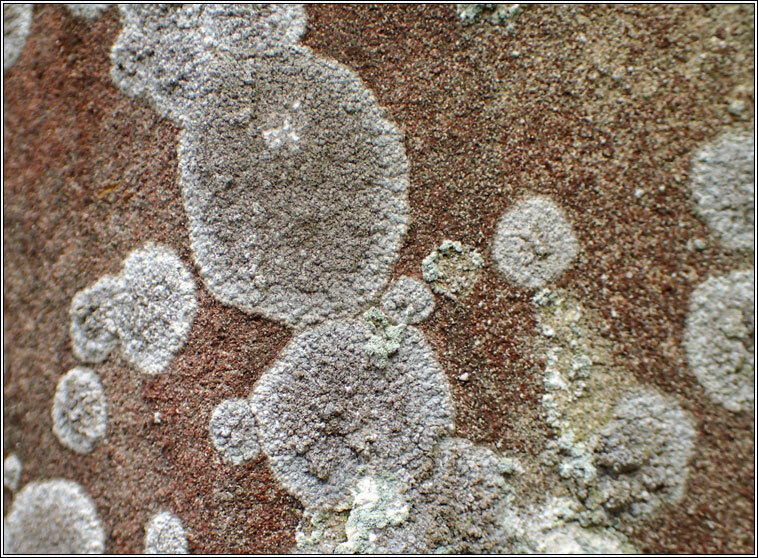 Can be host to Lecanographa grumulosa, Spiloma auratum and Milospium graphideorum.